USAAF B-24 Liberator #41-23762 "Little Eva"
of the 321st Squadron, 90th Bombardment Group based at Iron Range. 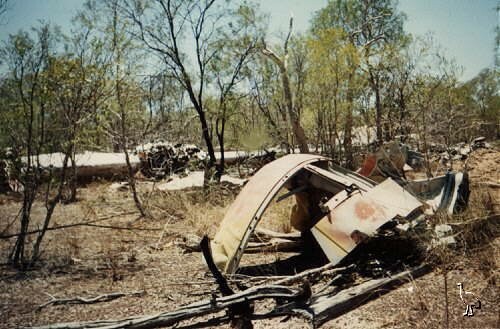 The aircraft crashed near Burriejella waterhole at Moonlight Creek, Escott Station, Far North Queensland in 1942. The crash site is approximately 60km NW of Escott. Two of the 10 crewmen were rescued by the manager of Escott after 13 days of deprivation, as detailed in this account of the search by police officer Bob Hagarty. 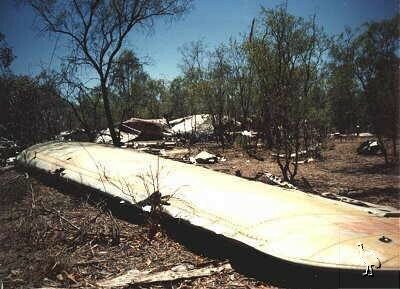 The episode is featured in a one hour documentary "The Aeroplane Dance" by Film Australia and has aired on the National Geographic channel in 1999. 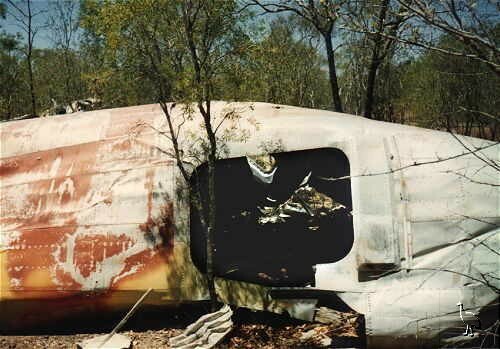 Although the position of the wreckage is known, it is in a very inaccessible location. A recent expedition retired after suffering 12 flat tyres. 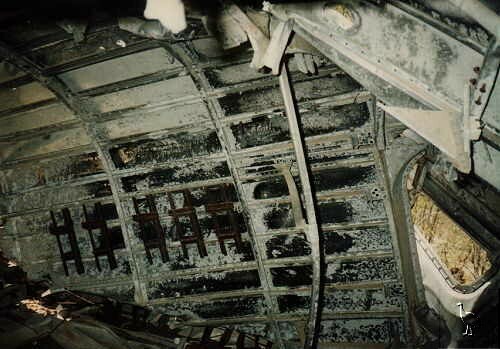 Peter Dunn tells the tragic story of the crash and its aftermath in a well researched page here. The photos above were in the possession of Escott Lodge in 2001. Provenance unknown.